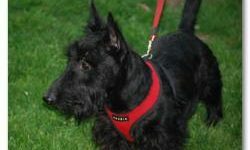 If you need to rehome a Scottie, we hope you will trust us with your Scottie instead of bringing them to a shelter or giving them away to someone who may not have experience with the Scottie breed or temperament. 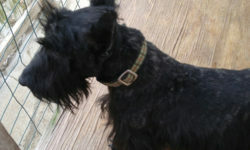 If you can provide a loving home to a Scottie who needs a second chance, we hope you will consider coming to us! Download the adoption application here. The STCGNY Rescue Coordinator is Erica Cerny. 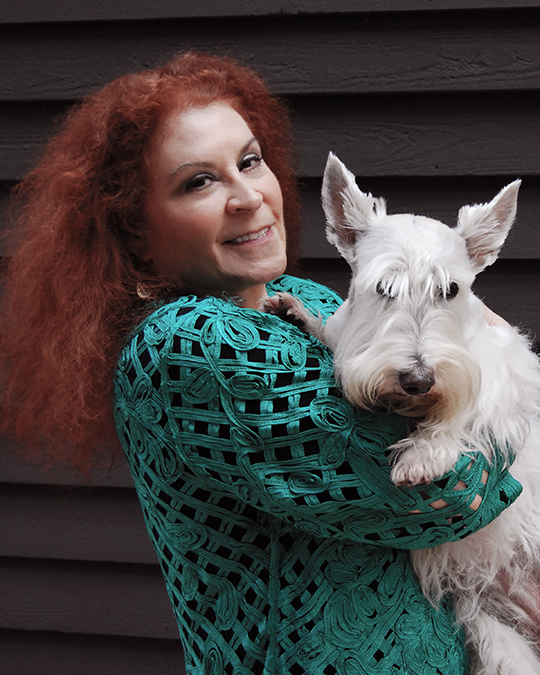 STCGNY is proud to offer relief to dogs who are Scottie Rescues. 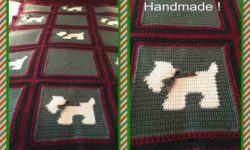 What is a Scottie Rescue? 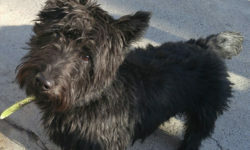 A Scottie Rescue is a dog who has been previously owned, but whose owner can no longer keep him or her. Dogs are are brought to us for a variety of reasons and they come to us from many sources. Whatever their specific histories might be, these dogs are in need of a good home, quality care, and love. 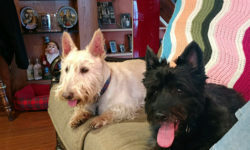 One of them just might be the perfect Scottie companion for you! When a dog comes into the STCGNY rescue program, several steps must be performed before the dog is made available to go to a new home. The dogs are washed and groomed so they will look their best! Their diet is evaluated and improved if necessary. They see our veterinarians and are examined to evaluate their health. They are brought up to date on vaccines. Tests are performed to make sure they are free of parasites, heartworm and Lyme disease. Further testing and treatment is provided if necessary or indicated. Before placement, each dog is spayed or neutered if age and health permit. Each dog’s temperament and needs are evaluated in order to make the best choice we can for both the dog and the future adopter. Like most rescue organizations, we require a home visit, in addition to vet and personal reference checks to ensure our rescues are happy and comfortable for the remainder of their lives. We work hard to make the perfect and forever match for what each individual Scottie needs with one of our prescreened applicants. 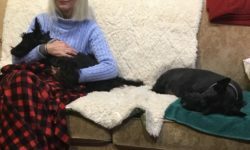 Volunteers are always welcome to offer whatever help they feel they can contribute to our Scottie Rescues! Our rescue program is made possible by donations and volunteers. Adoption donations are requested to help defray costs so that we can continue to help dogs in need. The fee is determined on a case by case basis. We don't require a donation in order to accept a dog for placement, but we are very grateful if you can make one . We are a 501(C)(3) nonprofit corporation. IRS laws have recently changed, so your tax professional will have to advise you how best to use charitable deductions. You may use the Paypal option by clicking the "Donate" with the credit card pictures beneath it, or by using this link.